Blendex is indeed a contract food manufacturer. Our customers often supply their own formulas, vendors, and/or packaging. Some Blendex customers only provide a formula and Blendex sources ingredients and packaging. Contract food manufacturing appears in many forms, but the one constant is an agreed upon set of specifications that must be met every time product is made. Blendex has over 40 years’ experience in contract food manufacturing. Let us know how we can produce your food products! Just what is the best name for Blendex Company services? Would Juliet say your outsourcing experience “smells as sweet” as your in house production? When you outsource your dry food custom blending and packaging, how do you know the outside party is safe? Are they producing food legally? And will they meet your tough quality expectations? This is the issue GFSI addresses in Section 3.5.4 Management of outsourced processing, in The Standard, Issue 7 for BRC. When you choose to outsource your dry custom food blending and food packaging to Blendex, you are choosing a company who scores the highest possible score on GFSI, BRC audits. No worries with auditors who ask you about Blendex and your Supply Chain Preventative Controls! With Blendex, you also get a company who passed an unannounced FDA/FSMA 2 day audit recently, without a Form 483 being issued! Blendex has been trusted and experienced in contract blending since1979! We maintain an open door with our food clients - we welcome scheduled or unannounced visits and/or 2nd party audits. Come watch your products be produced to ensure we deliver on our promises! Contact Blendex and let them know your dry food custom blending needs. See for yourself how “sweet” we smell! Blendex has passed FDA and KY Health Department inspections since our origins in 1979. However, during the week of 2-12-18 Blendex was audited by FDA for the first time under the new FSMA regulations and we are proud to announce Blendex passed with flying colors! Good job to the Blendex employees who produce dry food products such as fried food breadings, spice blends, seasonings and custom dry blends. Blendex does contract dry blending the right way - safely, with quality and legally! Meat Processor Needs Consistency in Spice Blends - Blendex to the rescue! Blendex celebrates 40 years in the food business! 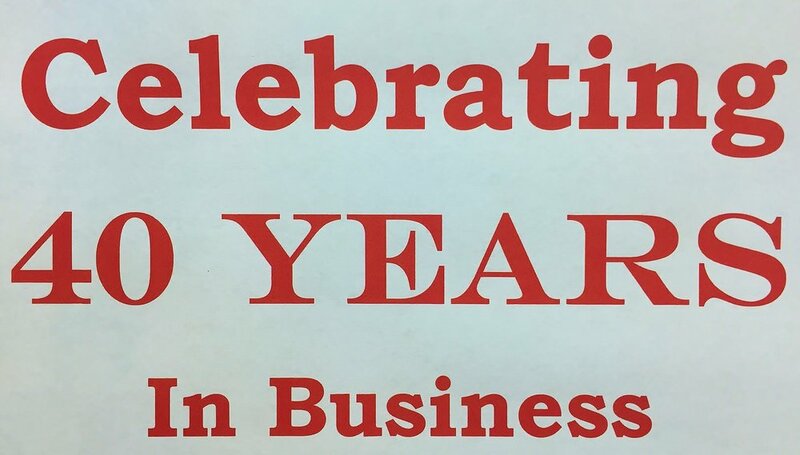 Louisville, Kentucky, February 1, 2018 – Blendex Company is proud to announce that 2018 is our 40th year in business; a family owned business started by Eugene A. Pottinger. The Pottinger's throughout the years have been driven by the entrepreneur spirit involving food and hospitality. In the late 1970's, Gene Pottinger left a commercial cooking equipment manufacturer to create the highest quality supplier of coatings and batters to the food industry. He established this company because he was frustrated with the level of service he had seen from other companies, and wanted to create a different type of company - the kind he wanted to do business with when he was in the cooking equipment business. He created a company that puts customers first, responds to and protects the confidentiality relationship, has high integrity to do the right thing, provides a high quality and safe product for a good value, and treats its own team members even better. Even though Gene Pottinger left us many years ago, these core business tenets remain the same today for all Blendex business holdings which are still controlled by Ron Pottinger. We thank our customers and team members for 40 great years, and we look forward to continuing to serve them. To celebrate this anniversary, we will be hosting a special open house event this fall at our Louisville production facility. Be watching for more information!